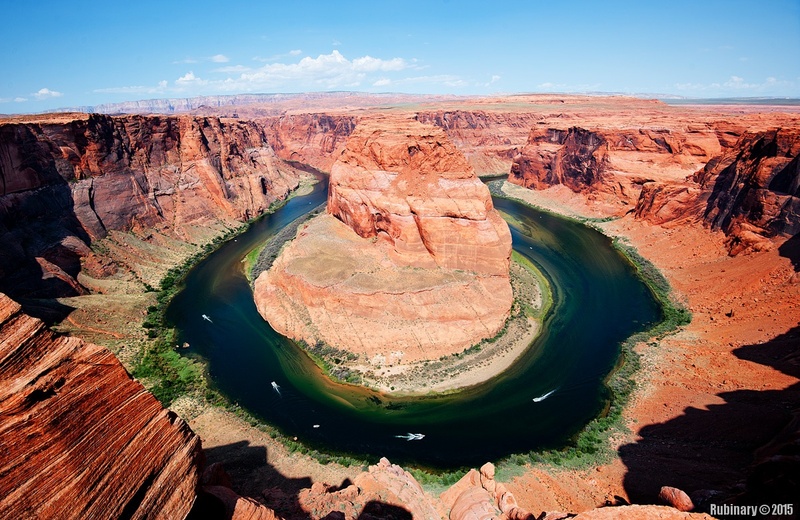 Horseshoe Bend turned out to be the place that impressed Alёna and me the most throughout our trip. Not that Grand or Bryce canyons were not — we just saw them before. It is not really possible to pass the scale of a place through the picture. I’ve seen numerous photographs of this bend before, but I was still not prepared to see what I saw. The canyon was huge. The only thing that helps matters is a collection of the tour boats that can be seen down on the river. Such a beautiful place.